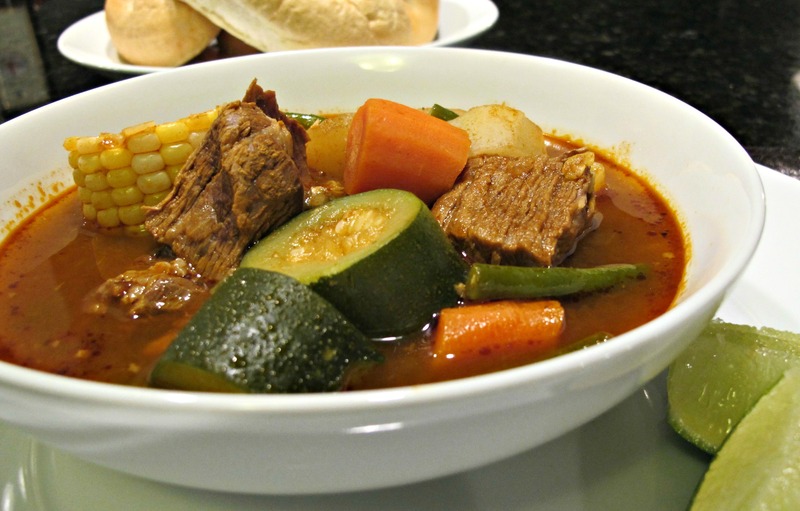 This is Mexican comfort food. I remember my Mom making a similar soup and I can tell you that this is a great way to get kids to eat their vegetables. I loved the large, flavorful pieces of zucchini, carrot and corn, even when I was 5 years old! 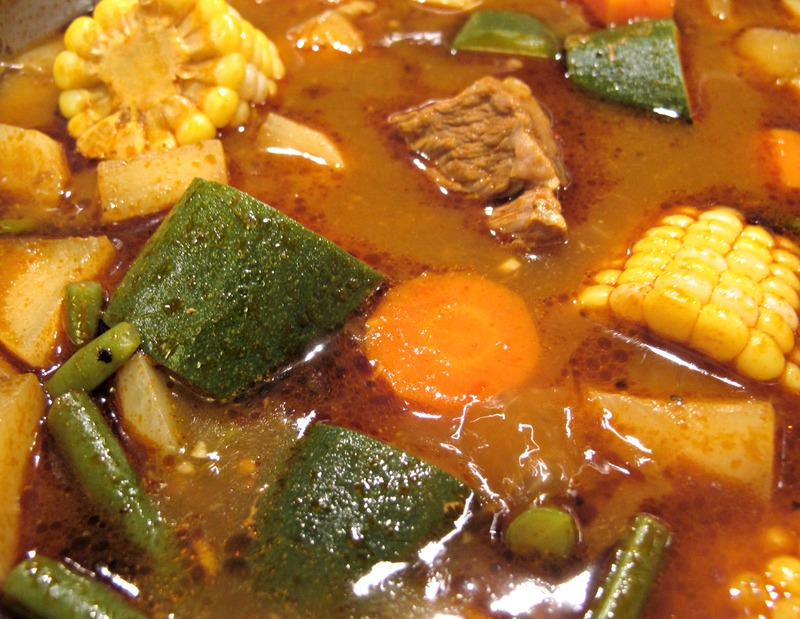 According to Rick Bayless, “Mole de olla is such a way of life in Central Mexico that produce vendors sell piles or bags of ‘soup’ vegetables.” But, for me, one of the things that make this soup so great is that you can add most of the vegetables you like or have on hand. In many versions, mole de olla adds xoconostles (a sour prickly pear), potatoes and uses epazote instead of cilantro. But this is the version closest to what I know and I think tastes just fine! Put the meat in a large pot with 2 quarts of water and bring to a boil. Reduce the heat to medium-low and skim the foam that rises to the top as it boils. 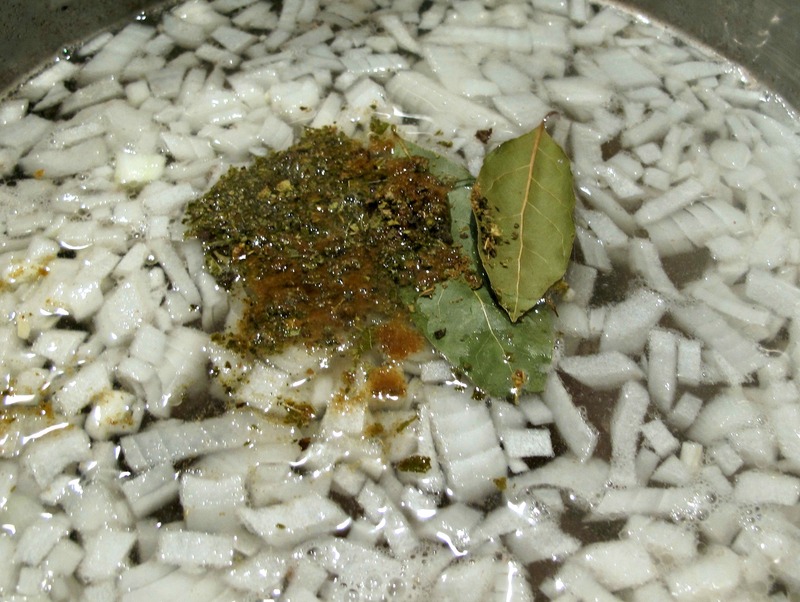 After 10 minutes, add the chopped onion, garlic, bay leaves, salt, oregano and cumin. Cover and simmer for 1 hour and 30 minutes. While the beef is simmering, place the dried chiles in a bowl and cover with boiling water. Let the chiles soak for 20 minutes. Add the chiles, tomatoes and cilantro to a blender. Blend until smooth and reserve. After the beef has simmered for 1 ½ hours, strain the chile puree through a fine mesh strainer into the soup pot. Mix in the puree, cover and simmer for another 30 minutes. Add the carrots and turnips and cook for 15 minutes. Add the zucchini, corn and green beans. Cook until the vegetables are tender, about 15 more minutes. Add salt to taste, if needed. 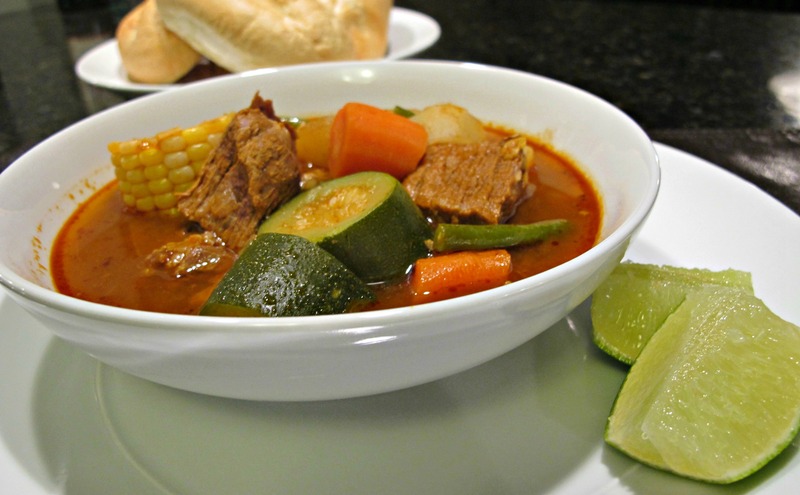 Serve in soup bowls along with the lime wedges and corn tortillas or bolillos (Mexican sandwich rolls). This looks incredible! I’m sure your Mom used what was most available and what you guys liked the best! I’m putting this on my must try list! Damn that looks delicious! Are you Mexican or Chicano? Saludos. Saludos to you. It was delicious! To answer your question: I was born in East Los Angeles so I consider myself both Mexican and Chicano. Brown and Proud! This looks like it would be wonderful on a cold winter day. It is great on a cold winter’s day. My mom would make a similar stew whenever the temperature went below 60 degrees Fahrenheit in southern California. We thought that was cold! Now, in Wisconsin, I know better.